Techy gadgets to improve your life. Protect your business from fraud, get medical standard weight measurements and count money fast with our innovative T-Mech range. Technology should make our lives better. That doesn’t just mean being able to post photos of yourself at the pool on holiday on social media; it means specialist gadgets that will help you and your business succeed. Protect your business from fraudulent banknotes with our range of electronic counterfeit detectors, then count your profits quick as a flash with our automatic cash and coin counting machines. 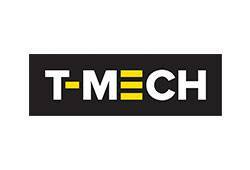 Our range of T-Mech scales are used across the UK in a wide range of different industries. From medical scales, vet scales and even industrial standard scales, our range offers super accurate LCD weight readings. Need some technological goodness right away? Order before 2pm for next day delivery.